A property which is used solely for business purposes is defined as commercial real estate, unlike a business run from a residential address which would be categorised as residential real estate. A broad selection of businesses run their profit-making activities on commercial premises and can either own or lease dependent on the business profile. As an example, if a sole trader wanted to start up a business it could prove cost-effective to lease a unit from a commercial real estate business, rather than putting money into owning a property. Similarly, many organisations follow the same principle, preferring to run their businesses by leasing premises – they enjoy the peace of mind that a portion of the costs they pay includes building maintenance and security, things that they might otherwise have to pay for as outright owners. Many businesses opt for leasing to streamline their outlay, preferring the flexibility it can offer. Commercial real estate is ubiquitous, particularly with the development and popularity of industrial units and business parks. Moreover, commercial real estate can be further categorised into several types, ensuring that whatever the business requirement, there is something for everyone. To reference the industrial units, these can vary depending on the type of business, including bulk or flexible warehousing, the latter providing a combination of storage and office space. Of course, retail is a significant player in commercial real estate, evident in the multi-type business units situated in malls large and small. Office space, too, is a primary component of any commercial real estate portfolio. Businesses can lease offices within the hub of business districts or opt for well-appointed suburban locales such as business parks. It is important to note that land is also used by businesses on a leasing basis, including farmland pastures, while bigger corporations such as the fast-food sector and warehouse-style retailers lease land parcels. There are a number of advantages of owning commercial real estate, not least that there is a regular cash income. Once the real estate is leased, the income can be provided from the lease payments, whether in monthly or longer term increments as agreed. Another positive is asset appreciation, wherein commercial property values may rise exponentially with supply/demand conditions – as a profitable realtor, high-quality maintenance and professionalism are also relevant. To encourage business growth, developing a property portfolio is assisted by building equity through a leverage process – wherein debt can be applied to an original asset in order that additional properties can be acquired. With regular leasehold income, the debt reduces while the portfolio increases. Positive leverage is heavily used within the sector when spendable cash return is multiplied by borrowing favourable debt. As a basic example, an investor borrows $100 at $20 interest – the investor loans the original $100 at $30 interest, paying back the debt with a profit made. Together with tax benefits and owning hard assets such as the land on which the property is situated, investing in commercial real estate can provide a significant income that is not wholly dependent on tenants. Consider the following tips for getting started in commercial real estate. Think about hiring a bird dog, an industry term for someone who does the hard work in sourcing suitable properties. Check out classifieds and web. Attend open houses – events where buyers and investors can view the property, seeing the pros and cons. Check out a location by talking to other local owners. Research the industry, including key concepts like square footage and leasehold contracts. Be organised – what can you afford to invest, mortgage deals etc. Utilise tools like mortgage calculators. Managing deals – develop a good eye for detail, assess ongoing property costs like repairs, and don’t fear walking away. Understand industry-specific terms – what is a cap rate, or cash on cash, for instance. 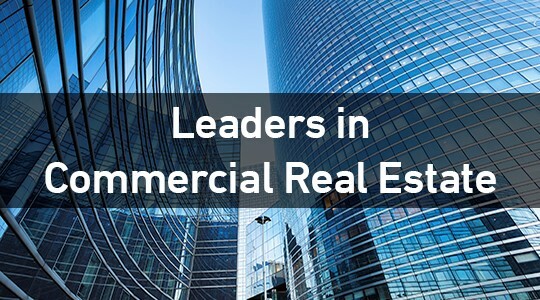 Commercial real estate undoubtedly has great potential, offering regular cash income, financial rewards from land ownership, as well as tax initiatives and equity through leverage to facilitate portfolio expansion. Looking at it another way, as long as there is land mass, there will be a need for the commercial real estate sector.